The TV Ratings Guide Delta Marietta Marietta TVRG Network TVRG Terror in america tv ratings guide tvrg originals Two TVRG Originals Are Premiering Soon! Two TVRG Originals Are Premiering Soon! If you've been following this site recently, you may know that we've started up a feature where some of us will be writing scripts for shows we created. We hope you read them, to get more updates you can follow them on Twitter. -Network is a workplace comedy that takes place inside a broadcast network. Its pilot script will be released at 8pm Eastern Time on Monday, January 8th. It was created by our very own Jessica Boggs. You can find it on Twitter by clicking here. 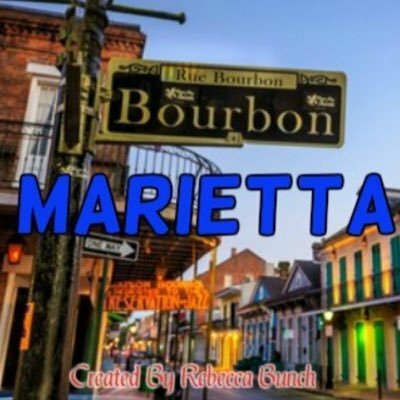 -Marietta is a political comedy that follows a fictional Senator from Louisiana, created by Rebecca Bunch. Its pilot script will be released at 8:30pm Eastern Time on Monday, January 8th. You can find it on Twitter by clicking here. -Delta! is a musical dramedy created by Rebecca Bunch that follows a person named Delta who sings every day. Its pilot script will be released on Monday, February 5th at 9pm Eastern Time. You can find it on Twitter by clicking here. -Terror in America is a political drama created by Rebecca Bunch that takes place in the year 2026, America's 250th anniversary. The President and many major members of her Cabinet are under threat of being murdered, unbeknownst to them. It premieres Monday, February 5th at 10pm Eastern Time. You can find it on Twitter by clicking here.